Nursing burnout is still seen as a “soft” topic. How do we know that? Well, it is still a dilemma that organizations do not know what to do with. That and it is often bumped from the agenda. Think about it- what comes first? Hospital acquired infections? Fall rates? Suicide screening? Catheter acquired or central line infection rates? You know the drill. It is those things that we are measured on. The things that cost us money or hurt the organizational budget. Benchmarks that are tracked and then compared across organizations, counties, and even states. Nurse burnout gets bumped from meeting agendas. Resources such as time or money are not allocated to burnout. The nursing staff keeps working harder and the job continues to get tougher. What is a nurse to do? Organizational leaders and c-suite executive types speak in data. They prefer one page handouts, bulleted lists, and facts/figures. A lengthy, wonderfully written narrative just is not going to get through to them. Quite frankly, they don’t have the time to read it! 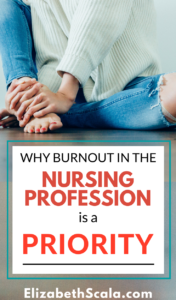 So, as an individual nurse, what can we do to help nursing leadership realize that burnout must be a priority? Show them the data!! I use a classic example in my Nursing from Within keynote presentation to highlight the importance of burnout and how it affects the bottom line. 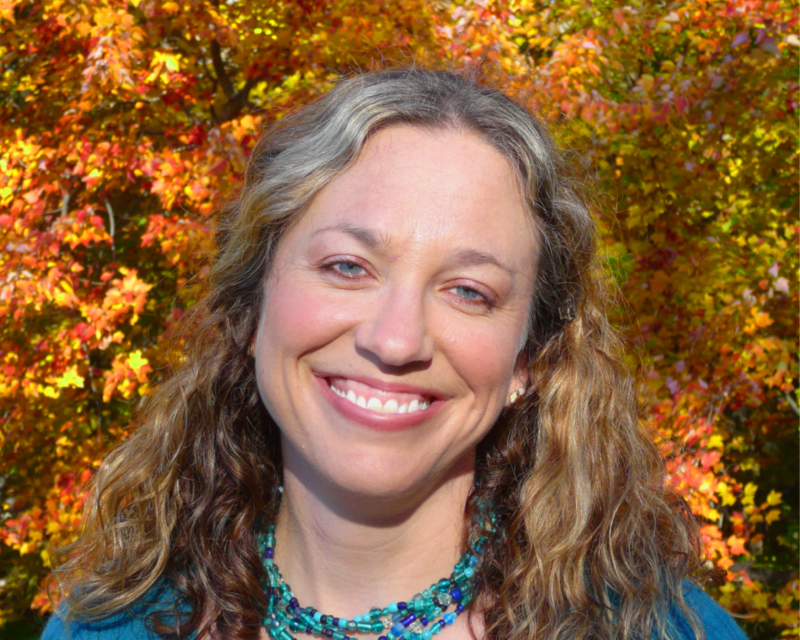 Linda H. Aiken, Ph.D., FAAN, FRCN, RN is a nurse researcher who is currently the Director for the Center for Health Outcomes and Policy Research and a Senior Fellow of the Leonard Davis Institute for Health Economics. In her and her research team’s work on nurse burnout, staffing, and patient infections, they showed a relationship between nursing burnout and patient infection cost savings. Let’s read that number again… an annual cost saving of up to $68 million!!! Maybe sharing this article with the decision makers will help them open up to the fact that nursing burnout is NOT a soft topic. A burned out nurse is not happy at work. He or she is disengaged. The nurse who is experiencing burnout in the nursing profession is suffering both personally and professionally. And a nurse like that— well, you can guarantee that they are affecting the patient experience. If we are looking for positive patient outcomes, safety and quality indicators, and patients being satisfied with the healthcare experience… we need a nursing staff who is ready, willing, and able to take care of patients. A nursing group who feels excited to get into work and has the energy to care as much as it takes. And yes, we need organizations to support their nurses. However, we also need nurses who are accountable to their craft. Nurses who choose healthy behaviors. Who say “no” to people from time-to-time, setting healthy boundaries. We need nurses to choose themselves and their own-welling, without feeling guilty or selfish. We need each and every individual nurse to focus on solutions, appreciate the positive, and learn from every transformative experience. If we want positive patient outcomes, then we need healthy, happy nurses to care for them. Let’s hear from you! 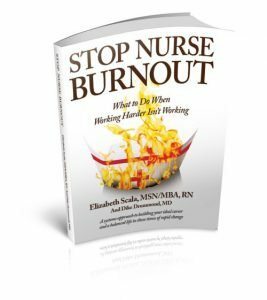 Have you ever experienced burnout in the nursing profession? What did you do to prevent, avoid, or end it? What can you share with our readers to help them put a stop to nursing burnout? Makes me wonder-do we need to take this to hospital boards and the public? I have enjoyed your nurse burnout series and appreciate the tools, resources and suggestion for nurses and nurse leaders on how to reduce and prevent burnout. I agree nurse burnout needs to be a priority and we as nurses need to take responsibility in our own self-care. 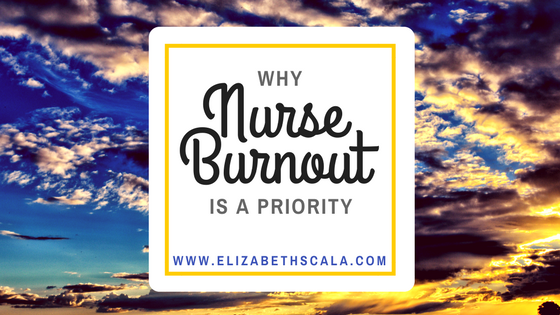 I have not experienced burn out in the nursing profession because I have attended to my own self-care at work and away from work. Such as eating healthy, drinking water, taking deep breaths, movement, use of essential oils, etc…. I have learned to say no. I also have fun at work and away from work and I have co-workers that I consider friends. Excellent strategies for taking care of you, Cassandra. Thanks for sharing them here so that others reading can get some ideas on how to promote greater well-being in their own work-life balance. Thank you! 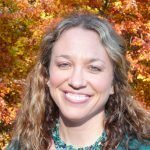 I am a new grad nurse who entered into a residency program that in theory works to soften the transition from bright eyed nursing student to overwhelmed new nurse. When I interviewed for the position, the unit director was transparent enough to tell me that the department was ‘in transition’ and that while it was getting better, there remained some negativity within the staff. I was so excited to have landed my first nursing job in an ER that I didn’t truly comprehend what she was trying to tell me. The department is a total mess – low morale, significant burnout and turnover, over 75% of the nurses are travelers, constant battles between managers and staff for support. I couldn’t have imagined it to be worse. Six months in and I was already starting to experience compassion fatigue due to contagious negativity, nasty gossip, and lack of support. The one thing that motivates me to move forward is the outlandish idea that maybe I can change things. I’ve got a few things rolling in the department now, and I hope to find more ideas here. Thank you for focusing on such a neglected, yet paramount aspect of nursing today. That makes me sad that you had such a negative start but I feel empowered by the way you brought change to your own experience and are helping make positive change. Amazing how you have already learned that ability so early in your career. Your post has made a real impact on me. It’s great hearing your growth and effect on your unit. Thank you for sharing that. You are making change even this far away – all the way to a little place in Texas!